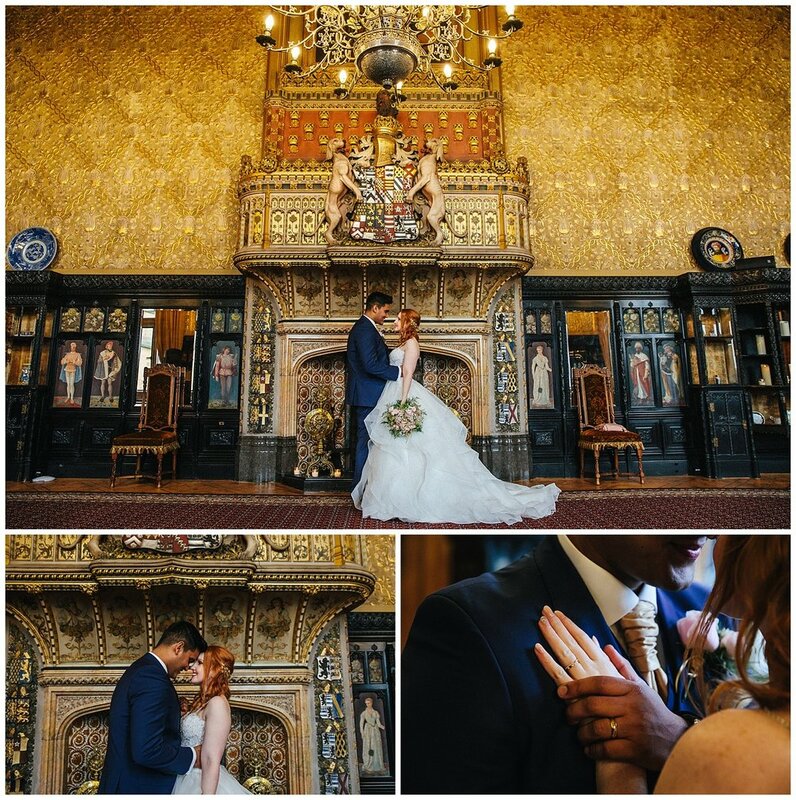 I was so excited to be back at Carlton Towers for Sam and Pranesh's wedding after visiting with them in the autumn for their pre wedding shoot. Luckily the February weather was kind to us and the rain held off! 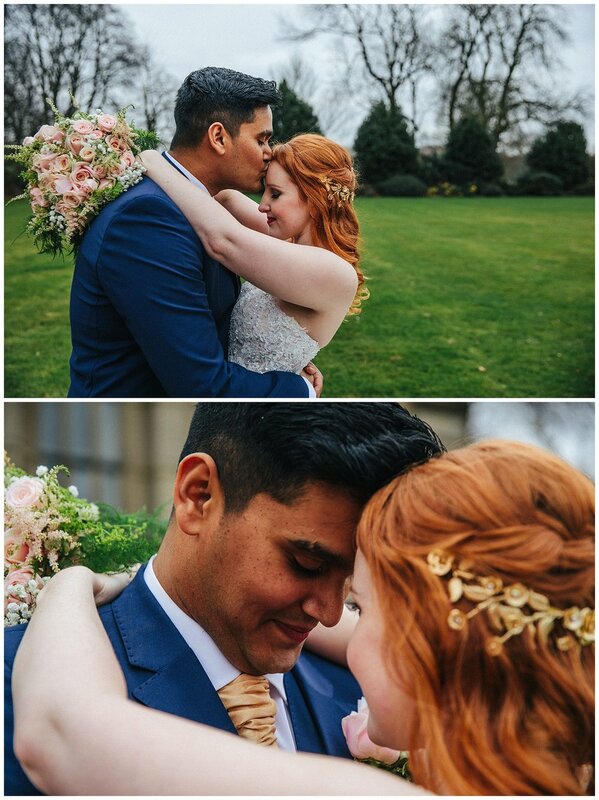 It was such a beautiful day and I am so excited to be able to share this beautiful Yorkshire wedding. Starting in the morning with Sam getting ready with her bridesmaids and mums while the boys prepped the downstairs there was a really buzz as all the girls had their hair and makeup done and Sam handed out gifts. With a little spare time Sam and Pranesh decided to have a 'first touch'. This was the first time I had the opportunity to photograph a first touch and I absolutely loved it! If you have the time to schedule it in to your day I highly recommend to do so it was a really lovely emotional moment and I felt incredibly lucky to be able to document it. Walking down the aisle to the beautiful voice of Rosanna O'Brien Sam and Pranesh's ceremony was perfect, full of little glances and smiles to one another. After the ceremony we headed outside for a showering of confetti as they walked down the grand steps outside the venue before taking some time to explore the grounds and get some photos as the two spend a little time together as husband and wife. I love taking time to photograph the little details at a wedding- after all so much time has been spent planning it out to be perfect! and Sam and Pranesh's did not disappoint. It was so lovely to see their centre pieces for each table included images from their pre wedding shoot and my favourite touch was their "You are my lobster" cake topper- as a HUGE Friends fan this was much appreciated. Undoubtably one of my favourite parts of Sam and Pranesh's big day was the dance floor! It was INCREDIBLE! After a game of Mr and Mrs it was dancing shoes back on a go go go. With Pranesh's family coming from Mauritius I had been warned the dance floor would be busy and that was no word of a lie, it was such an amazing atmosphere and I loved getting stuck in the middle of all the action. Massive thanks to Emily for coming along to second shoot and capturing some of these images. Massive thanks to all suppliers involved in making this wedding BEAUTIFUL and of course to Sam and Pranesh for allowing me to share and document their big day !